Oreo has partnered Snapchat to launch a pan-European campaign that celebrates "the playful side within all of us". 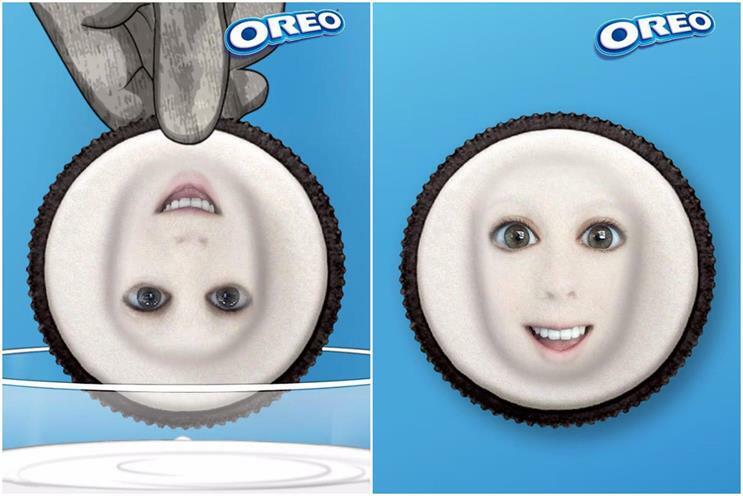 "Oreo people: show your playful side" will run across 28 markets and feature Snapcodes and "Oreoji" characters on 134 million product packets that can be used to unlock an Oreo lens on the social platform. It was developed by Elvis, which won a competitive pitch last year to deliver Oreo's biggest brand activation in Europe in 2019. By scanning the Snapcodes with a smartphone camera via the Snapchat app, customers can unlock a series of Oreoji-themes lenses, filters and stickers. In the UK, people can use the code to unlock a mountain zorbing game in which they must dodge a series of obstacles to navigate down a slope. The campaign includes digital and social activity, as well as in-store activations and a new "Oreo people" tag that will appear on the brand’s TV advertising. The work was created by James Hudson and Rob Griffiths. It was commissioned by Vira Ponomarenko, manager for Oreo equity and base, and Caroline Baume, base and equity lead for treat brands and Mondelez Europe. Hudson said: "This campaign turns Oreo’s overall global equity campaign into a simple and direct platform which enables people to get involved and show their playful side." Elvis has worked with sister brand Cadbury since 2014 as its digital and social agency.